Doris Entwisle, a professor of sociology and engineering science, died November 12, 2013. She was 89. 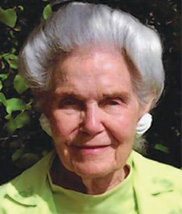 Considered a pioneer in the sociology of education, she was the co-founder of the Beginning School Study, which monitored the progress of city school first-graders over 25 years. Originally from Massachusetts, Entwisle started college at age 16 at the University of Massachusetts, Amherst, where she earned a bachelor’s degree. She received a master’s degree from Brown University and a doctoral degree from Johns Hopkins. She did postdoctoral work as a fellow of the Social Science Research Council. From 1964 through 1998 Entwisle held joint appointments in sociology and engineering, but for most of that time her primary affiliation was sociology. Her early work centered on developmental sociolinguistics, early child development, and family processes. Karl Alexander, chair of the Department of Sociology, collaborated with Entwisle on the Beginning School Study, which they launched in 1982. “The project remained active in the field until 2006, and our collaboration continued until her passing, when we completed work on our fourth book,” he said. That book, The Long Shadow: Family Background, Disadvantaged Urban Youth and the Transition to Adulthood, was published in April 2014. The study was one of the first to examine the outcomes of inner-city whites in addition to African Americans and found—among other things—that by adulthood, white men of lower status background, despite attaining less education on average, were more likely to be employed than any other group due to family connections and long-standing racial biases in Baltimore’s industrial economy. 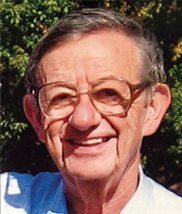 Entwisle retired in 1998 but continued to work at Hopkins as an emeritus professor. She received numerous awards for her work, including the Award for Distinguished Contributions to Child Development from the Society for Research in Child Development. 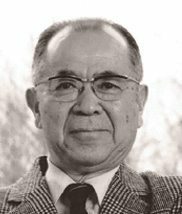 Jun-ichi Igusa, a professor of mathematics and a noted researcher in number theory and algebraic geometry, died November 24, 2013. He was 89. Born in Gunma Prefecture, Japan, Igusa graduated from the University of Tokyo in 1945 and received his doctoral degree from Kyoto University in 1953. He was a professor of mathematics at the University of Tsukuba in Japan, and after a brief stint at Harvard University, he moved to Baltimore in 1955 and began his long and distinguished career at Johns Hopkins. Igusa was the founding director of the Japan-U.S. Mathematics Institute, which is located at Johns Hopkins, and played a key role in forging collaborations between Hopkins faculty members and mathematicians from Japan and around the world. In 2005, the Japanese government awarded Igusa one of the country’s top honors for his role in cultivating scientific exchange between Japan and the United States. His expertise in the arena of number theory and algebraic geometry was recognized by the naming of numerous mathematical concepts in his honor, including Igusa local zeta functions, Igusa curves, and Igusa cusp forms. After his retirement in 1993, Igusa continued writing and published a comprehensive book on local zeta functions in 2000. He and 20 other mathematicians were credited with contributing ideas toward the proof of Fermat’s Last Theorem. 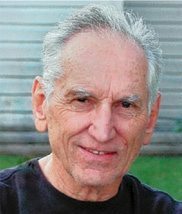 Lawrence “Lawrie” Hardie, a professor emeritus of geochemistry and sedimentology in the Department of Earth and Planetary Sciences, known for his insight into geological processes, died on December 17, 2013. He was 80. Hardie was born in Durban, South Africa, and attended the University of Natal, where he was inspired to switch from chemistry to geology after attending lectures by the eminent geologist Lester King. In 1960 he began his doctoral work in geology at Johns Hopkins; he received his degree in 1965. That year, he joined the Hopkins faculty as an assistant professor and rose through the ranks to full professor. He served as chair of the department from 1992 to 1995 and again in 2006. By his retirement in 2007, Hardie had mentored more than 30 Hopkins doctoral students, many of whom have gone on to leadership positions in academia, industry, and government. Hardie’s comprehensive study of evaporite sediments led to the hypothesis, since verified, that seawater has undergone long-term variations in its major ion composition. He determined that the salinity of seawater arises from the interaction of mid-ocean rocks and hydrothermal vents on the sea floor. Hardie’s work revolutionized the study of calcifying marine organisms and their role in the global carbon cycle. In recognition, he was awarded the Francis J. Pettijohn Medal for Excellence by the Society for Sedimentary Geology. Gordon Feldman, a professor emeritus in the Department of Physics and Astronomy, known for his contributions to discovery of the antiproton, died February 12. He was 85. A native of Windsor, Ontario, Canada, Feldman received a bachelor’s degree in physics from the University of Toronto and earned a doctoral degree from the University of Birmingham in the U.K. He came to the United States in 1955 and did postdoctoral work at the Institute for Advanced Study in Princeton, N.J. He started his career at Johns Hopkins in 1957 as an associate professor. He rose through the ranks to become full professor and then emeritus professor upon his retirement in 1998. Feldman received a John Simon Guggenheim Memorial Foundation Fellowship, which he used to conduct research at the Imperial College in London. He was also a Royal Society Guest Research Fellow at the University of Cambridge in 1984. Feldman played a key role in the discovery of the antiproton, a proton with a negative electric charge. His colleagues refer to him as “modest” and a dedicated mentor to students. Gregory Kane, a longtime visiting professor in the Writing Seminars, well-known journalist, and Pulitzer Prize finalist, died February 18. He was 62. 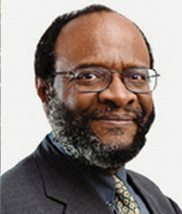 A native Baltimorean, Kane attended Franklin & Marshall College and started writing opinion pieces for The Baltimore Sun in 1984. He eventually got his own column, which he wrote until 2008. At Hopkins, he taught a popular course on opinion writing for more than 15 years. In 1997, Kane and his colleague Gilbert Lewthwaite were nominated for a Pulitzer Prize in explanatory journalism on a series about slavery in Sudan. He won awards from the Overseas Press Club, National Association of Black Journalists, the Press Club of Atlantic City, the Maryland chapter of the Society of Professional Journalists, and Baltimore magazine. The Osher Lifelong Learning Institute at Johns Hopkins offers noncredit courses, lectures, and activities for retired or semi-retired people. The latest recognitions of our stellar faculty. We welcome mathematician and computer scientist Alan Yuille, and Taekjip “TJ” Ha, a world leader in single-molecule biology and intracellular imaging. Caleb Baechtold '16 came to Johns Hopkins thinking he knew exactly what he wanted to do. It took just one class for that to change. We remember some well-loved Krieger School professors. Thomas Dolby, known in some circles for his hit song “She Blinded Me With Science,” has been named the Krieger School’s first Homewood Professor of the Arts. Unveiling plans to transform the Parkway Theatre into a vibrant headquarters for advanced film studies, filmmaking, film screening, and creative entrepreneurship. The first Bloomberg Distinguished Professors have arrived in the School of Arts and Sciences with a mandate to foster collaboration across Johns Hopkins’ many divisions. Glenn Schwartz, the Whiting Professor of Archaeology in the Department of Near Eastern Studies, talks about how civil unrest can affect fieldwork. The secrets of hundreds of millions of galaxies and stars are stored in a humming, whirring computer-filled room on the first floor of the Bloomberg Center for Physics and Astronomy. The John Barth Collection documents the creative output and career of Professor Emeritus John Barth, the American fiction writer, essayist, and teacher. Katherine Newman, dean of the Krieger School of Arts and Sciences, has been appointed provost and senior vice chancellor for academic affairs at the University of Massachusetts, Amherst.